These Apple Watch deals should make you sprint for the store. We’ve got deals on Apple Watches — Series 1 and Series 2 — as well as the new 9.7-inch iPad and other desirable devices in this week’s roundup of the best Apple deals. If you’ve been eyeing a waterproof Apple Watch but haven’t taken the plunge yet, now’s the time. Best Buy is taking $70 off a selection of Apple Watch Series 2 smartwatches. You can get a 38mm Apple Watch Series 2 in Space Gray aluminum with sports band for $299. That’s $66 under the next best price we could find right now. 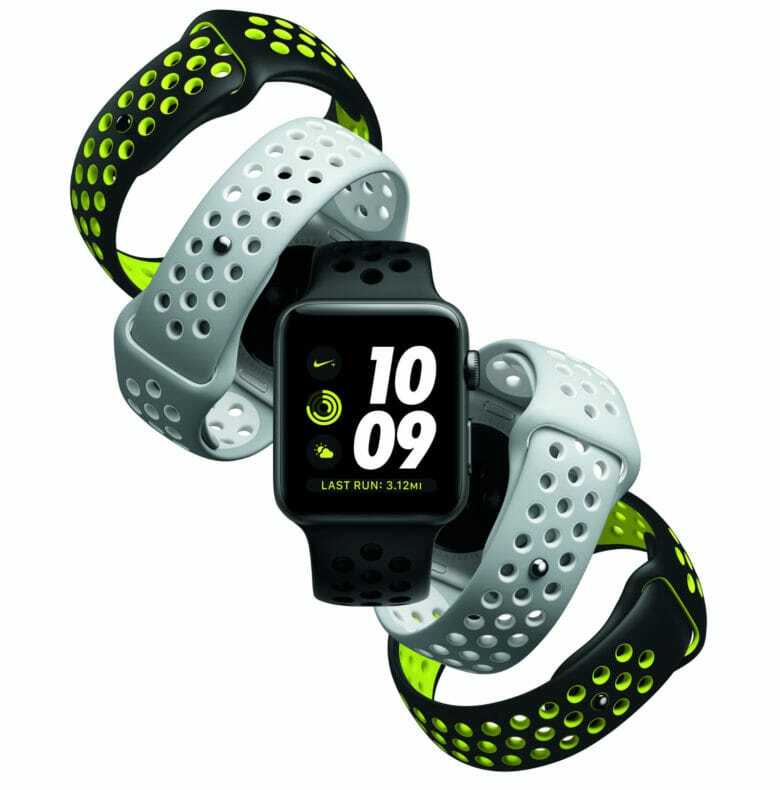 Or grab a 42mm Apple Watch Series 2 in silver aluminum with sports band for $329, which is $41 lower than the next best price. Bonus: All orders receive free shipping. Not interested in a Series 2? Great news — Target is offering the 38mm Apple Watch Series 1 in rose gold, space gray, gold or silver with a sport band for $199.99 with free shipping. That comes in within a dollar of the lowest price we’ve seen, and the best deal now by $69. While it’s rare to see a new iPad discounted so quickly, B&H Photo Video offers the newly released iPad 9.7-inch 32GB Wi-Fi tablet in space gray, silver or gold for $299 with free shipping. That’s the lowest price we could find by $30. You never know when you’re going to need a backup set of EarPods. TechRabbit is currently selling Apple EarPods with Lightning connector for $19.99. Use coupon code “DNEWSAPP5” to cut the price to $14.99. With free shipping, that’s the lowest price we could find by $4. This deal ends May 17.